The Northern Knights, sponsored by MTB Solicitors, will open their 2019 Test Triangle Inter-Provincial campaign in La Manga, Spain. The Northern Cricket Union (NCU) is delighted to announce a new three-year sponsorship deal. MTB Solicitors will sponsor the NCU's flagship provincial team - the Northern Knights - in all formats of the game as part of the new partnership..
A full fixture list of inter-pro fixtures for 2019 can be downloaded from this page. Cricket Ireland has launched a project to develop an holistic strategy for girls and women's cricket across Ireland, and here is your chance to contribute. 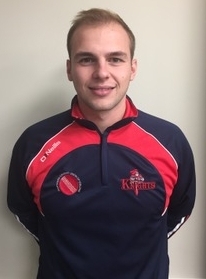 The Northern Cricket Union (NCU) has introduced a new development programme for its player pathway for summer 2019, designed to support the development of youth cricketers in clubs and the NCU regional development squad (RDS) programme. NIACUS would like to run an Introduction to Scoring course, which would last approx. 2 hours. The Domestic Cricket Directorate has reaffirmed the ruling on young cricketers playing in adult cricket. The NCU Grounds Committee has compiled the club ground gradings in accordance with Competition Rule A35. The Northern Cricket Union (NCU) has published its new Development plan covering the years 2014-2018. In announcing its publication President Billy Boyd and Chairman Andy Clement commented that they hoped that, post publication, the new Development Plan will provide fresh impetus for all those involved in NCU cricket. Challenge Cup, Irish Senior Cup, National Trophy, Ulster Cup, Ulster Shield, Twenty20 Cup, Twenty20 Trophy. All League Competitions, Junior, Intermediate, Minor and Minor Qualifying Cups, Ulster Plate, Twenty20 Shield. Volunteering is an ideal way to	get involved in sport, develop new skills and stay engaged in a sport. It can be a rewarding activity which helps you to meet new people and take on new challenges through roles such as coaching or	administration. Depending on your individual skills or interests, you can offer to volunteer in any of the above areas. Some of the most important attributes include enthusiasm and interest. For more information on volunteering in sport visit www.nidirect.gov.uk/sports-volunteering. The Northern Cricket Union of Ireland is a Company Limited by Guarantee registered in Northern Ireland (Company Number NI 649724) and a Charity registered with the Charity Commission for Northern Ireland (Charity Number NIC 106791) having its registered office at The Pavilion, Stormont Estate, Upper Newtownards Road, Belfast, BT4 3TA. 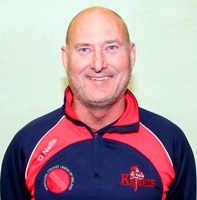 If you would like to become involved with the NCU, in any capacity, then get in contact with the Union's General Secretary, Bryan Milford on bryan.milford@ncucricket.org or alternatively contact any NCU Board Member.